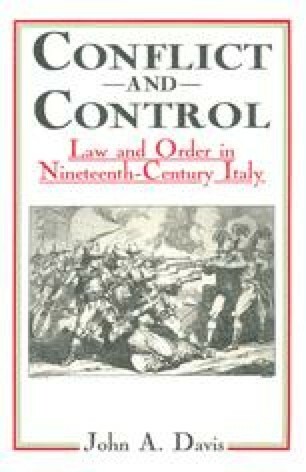 Behind the familiar events that brought about Italy’s independence and political unification in the course of the 19th century lay more disturbed realities. Recurrent political crises and persistent social unrest were constant themes in Italy’s history in these years, and did not end with the creation of the new unified state. Unification was followed by civil war in many parts of the South, and the century that had opened with the crisis of the Ancien Régime principalities closed in another crisis that threatened to bring to an abrupt end the first and only constitutional state in Mediterranean Europe.